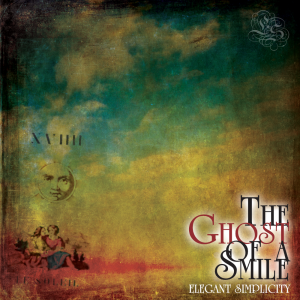 Elegant Simplicity was formed in 1992 by multi-instrumentalist/songwriter Steven McCabe. Between then and 1995, he released seven cassette albums – all featuring McCabe’s stunning instrumental compositions. These albums were sold through classified ads in musicians magazines and served as an excellent tool to build up the loyal following the band continues to enjoy to this day. During that time, songs with lyrics were gradually being stockpiled and it wasn’t until the latter half of 1995 that the decision was made to find a vocalist and release an album onto Compact Disc. A suitable vocalist was found in the shape of Ken Senior, on loan from the band Evolution. After about a weeks worth of rehearsals the album The Nature Of Change began to take shape. Featuring six songs and one mammoth 43 minute instrumental composition, the CD was released on the newly-formed Proximity label in April 1996 (Cat # ESCD 8). The album was an instant hit and continues to sell to this day. See the reviews archive for unbiased opinions! Never one to rest on his laurels, Steven McCabe pulled out all the stops during 1996 to write and record the classic Reversal Of Time (Proximity ESCD 9). Again featuring Ken Senior and a mixture of songs and instrumentals, the album was released in early 1997 and saw the bands reputation grow to new heights. More stockists were added and the band embraced the Internet age with the launch of its first website. In keeping with McCabe’s policy of releasing at least one album per year, 1997 saw him hard at work in the studio creating what many consider to be a classic – Purity and Despair (Proximity ESCD 10). Due to Ken having other commitments, this album marked a triumphant return to the all-instrumental format of the bands earlier releases, featuring five lengthy and complex compositions. All the usual ES ingredients were there: melody, invention, great playing and more twists and turns than you can shake a stick at! The album was released early 1998 and was the bands biggest seller to date. Early copies featured a full-colour picture disc. Throughout 1998, the band worked on songs that were to become their next album. With Ken Senior once again joining on vocals, the songs they recorded became the album Moments Of Clarity – by far their most ambitious collection to date. It was released May 1999 and firmly established ES as one of the foremost UK melodic rock bands. 1999 also saw the band finally achieve a stable home on the Internet – www.elegantsimplicity.com. The site continues to grow and remains the one-stop resource for all things Elegant Simplicity. In addition to selling all the bands albums, the site also has a vast collection of links and resources as well as MP3 downloads of songs from all the albums. Towards the latter part of 1999, Proximity Records finally got around to releasing the bands entire back catalogue. Each of the first seven albums was digitally re-mastered and restored – complete with new artwork. The albums sound great and are collectively named The Digital Re-Master Series. In keeping with the spirit of the original releases, they are available only to members of the bands mailing list. Released April 17th 2000, The Story Of Our Lives is the bands 12th full-length album. Featuring one stunning song, divided into 12 parts, this CD showcases all the strengths that have gone into making this band one of the underground’s finest. Staggering guitar-work and keyboard solos abound on an album chock-full of melody and invention. Loads of orchestral work, psychedelic sounds and strange time signatures combine to bring one of the finest albums you’ll hear this year. An awesome achievement..